Worried about your teen texting while driving? A new survey by AT&T (PDF) suggests that the biggest danger to other drivers on the road may not be your distracted teen – it may very well be you. 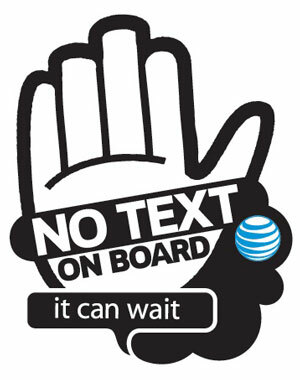 Nearly half of all adults – 49% – admitted to texting while driving. That’s more than the 43% of drivers aged 15 to 19 who admitted to the same in a prior study. Almost as worrisome as the one-in-two number is this statistic: Of those who text while driving, 40% do it regularly. That adds up to a lot of distracted drivers. Texting while driving is an incredibly dangerous practice. According to a Virginia Tech Transportation Institute study, you are 23 times as likely to get into an accident while texting. And even if you’re using voice commands to text, you’re still driving distracted – recent research suggests that hands-free texting is the equivalent to driving with a blood alcohol content of 0.08. For more ideas on how to keep yourself or your teen safe while driving, Techlicious has compiled a list of safer texting alternatives that just might help keep your eyes – and your car – on the road.